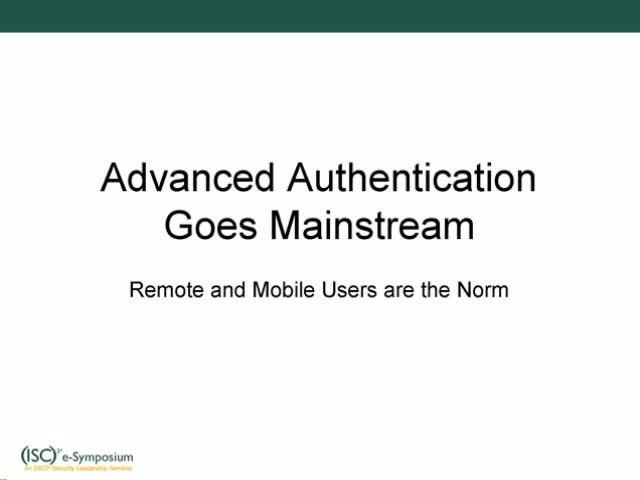 Advanced Authentication is no longer a solution for a sub set of users that access sensitive information on a regular basis. The number and types of breaches are on the rise and concerns about social engineering and identity theft are widespread….this all leads to the logical justification for advanced authentication for everyone. More and more employees are accessing sensitive applications remotely. Many of them expect to access applications from multiple endpoints including mobile devices. Partners and customers are inherently remote and business owners want to empower them with access to new powerful online applications. With this as the backdrop and the increasing number of Internet threats and attacks in the news ….it is all the more important to have a risk appropriate, multi-layered authentication solution. It is also critical to have a versatile approach to authentication that can encompass multiple methods and be flexible enough to react quickly to new threats or actual breaches if necessary.